There's nothing more quintessentially American than the hamburger. Foreigners (at least those who eat meat) continue to crave U.S. brands, culture, and food, and Wayback Burgers is riding that wave around the globe with a flurry of international openings and signed agreements for more. "We're becoming a household name in more corners of the world," said Wayback's Executive Vice President Bill Chemero in a prepared statement. "We've earned a worldwide reputation for the best burgers and the best service. This reputation, earned by our phenomenal master franchisees in corners all over the world, has sparked rapid international development as we continue to grow fast in multiple states across the U.S."
In addition to overseas growth in Q3, Wayback awarded seven new U.S. franchises, with 19 more under construction. In addition, four lease signings stretched across the country and Chemero says the company expects to sign more than a dozen new leases and award more domestic and international franchise locations in Q4. Founded in 1991, Wayback operates in 30 states with more than 161 restaurants in the U.S. Internationally, the brand operates in Kuwait, Malaysia, Morocco, Saudi Arabia, Sudan, and Pakistan - and has plans to open in 37 countries and provinces in the Middle East, South Africa, Argentina, Bangladesh, the Netherlands, Ireland, and in Canada in Alberta, Ontario, Manitoba, Saskatchewan, and British Columbia. 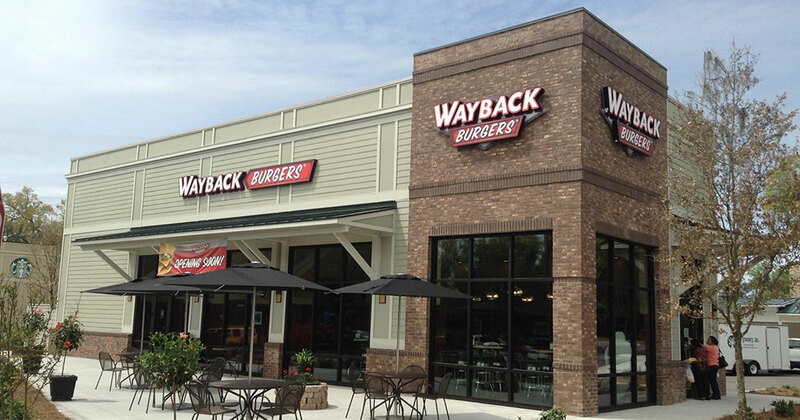 For more information about Wayback Burgers, call Bill Chemero at 203-649-3392 or visit their website.